The World Bank has selected Emerging360 to develop a strategy for facilitating inclusive economic growth and women’s participation in the tourism sector along the Buddhist Circuit in India, and South Asia more broadly. South Asia’s remarkable heritage, as a source of livelihood and identity, represents a previously untapped engine of inclusive economic development and job creation. 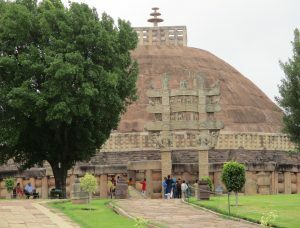 Investing in tourism in general, and Buddhist heritage tourism in particular, provides a unique opportunity to unlock the region’s heritage assets for the development of some of the poorest communities, who reside in and around the sites. As part of the broader World Bank support to selected South Asian governments in inclusive tourism development along the region’s Buddhist Circuit, Emerging360 is researching constraints to women’s participation in key locations along the circuit. We’ll ultimately be developing a suite of actionable recommendations for improved and inclusive economic development across the region, with a focus on opportunities for women, youth, and the poor. © Copyright 2014 - 2018 Emerging360, Inc. All rights reserved.